We understand small businesses. We’ve been servicing Jacksonville for several years and business owners across the city swear by us. The fact is that while the on hand custodians can only do so much work and if there’s a true emergency, you need to call in the professionals. 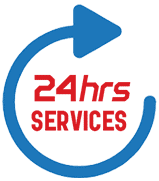 If you are having a problem with clogged drains, you need to call our rooting services and if this problem persists you need to call about our commercial drain cleaning. When you have a clogged drain, be it faucets or other fixtures, you have a problem that needs to be fixed on behalf of the clients. A clogged drain is often caused due to the nature of the piping inside every fixture. There is a complex system of loops and valleys that aid in positive air flow. That way you don’t need to have your plumbing powered by electricity when you can just use weight and force. However, if something is too heavy and slow, then it runs the possibility of being stuck which is how most clogged drains are formed. Something that is too big for the pipes cannot be passed. In which case, we begin our commercial rooting. Our rooting is done by using the machine which is either a long flexible rod to break up the sediment or a high power hose which can shoot the waste all the way through. 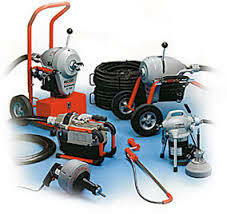 What is Commercial Drain Cleaning? While heavy and slow objects are the majority of rooting requests, they are rarely ever done by themselves. Bath chemicals, wax-based soaps and other everyday objects create a residue on the inside of the pipes which make heavy objects easier to slow. The best way to make sure that you won’t need rooting that often is to hire our commercial drain cleaning service. By uprooting the pipes and opening them up, we can thoroughly clean and scrub the residue away. This process ensures that the pipes remain smooth and uninterrupted. Why should you do either? If you have clogged drains or constantly clogged drains it can lead to backups, fissured pipes, and contamination. You don’t want to deal with the overheads on either of these expenses. That’s why you should call All hours Emergency Plumber. Call us now at (904) 574-5100!